My podcast guest this week, Ajmu Ayinde, spoke so beautifully about the holistic framework of hypnosis, his journey and, experiences, He focused on Transpersonal Hypnotherapy and shared with us how holistic this modality is in its application, touching upon aspects of us as a human being seeking help. He mentions guided imagery which reminded me of the research and applications I learned from Belleruth Naparstek, a leader in this field. What I learned from her research is that we don’t need specifics to get a specific result. For example, when one has to undergo surgery: instead of affirming the surgery and ‘all will go well’ with the use or need for minimal blood transfusions as an affirmation, she found it was more effective to focus on feeling well using indirect sentences. We need very little to incite our natural inherent ability to heal. So, instead of specific affirmations, she used more generic thoughts such as ‘watch the team that watches over you, notice how your body is cooperating.’ These more indirect sentences actually showed a decrease in the need for blood transfusions during surgery. She found that imagery in this fashion puts the wisdom of our hearts to work. I love this, that our bodies have an inherent ability to heal. Hypnosis accesses this part of us too. Her website contains many CDs for a variety of ailments that I highly recommend. 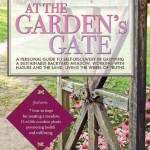 Well-designed imagery can get us out of our head; we can access our intuition, memories and amplify our energy filed. Many yoga practices and various healing modalities utilize guided imagery. 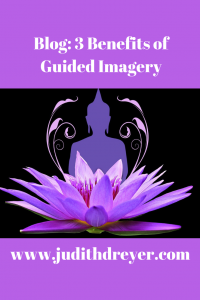 Guided imagery allows us to enter into our entire being, not just the head or mind. We want to catalyze our inherent intelligence to awaken our own healing power. Cool, huh? I think so. I have experienced many guided imagery sessions at the end of a yoga class. It helped me get out of my head, relax more deeply. In the long run, that’s healing! Remember to share and all comments are appreciated. Enjoy. I began my journey with yoga in the mid to late seventies, a time when the ecology movement was just beginning. I had to travel to a YMCA to get to a class on a gym floor. I was taking tap and jazz dancing lessons at that time. My teacher was on vacation so I did the 30-day routines, following the instructions religiously. When she returned and I resumed classes she couldn’t get over how limber I was, somehow different, even my breathing was better. She asked what I had been doing. Not much except I was given a yoga book and decided to do the program while waiting for her to come back. She was impressed. I was too. I didn’t realize there could be a difference between traditional dance warmups versus yoga but there was. This feedback and observation have stayed with me ever since. Years pass and I became a lecturer at the local University and incorporated my basic yoga routine from those first classes in each of my holistic studies classes. Athletes from basketball players to soccer were often inflexible. Athletes train for their sport and those muscle groups works really well but what about the rest of their body? Hamstrings were tight, backs couldn’t bend well. So many students commented on how much better they felt after a yoga class. Athletes were awakened to the fact that though they were good at a sport their bodies were not in as prime condition as they thought. This led to discussions and I only hope to inspiration for these young adults to value their body differently. During this time I came across Mantak Chia’s book Awaken Healing Energy Through the Tao. He reminds me of the importance of respecting our body in its totality, not just a machine that we prod on and on. Every organ system is a community of cells, a neighborhood if you will, that functions in harmony with every other system creating an intricate interplay between all parts, united to serve the whole. When we are young, we give the body little thought except for cosmetic reasons or athletics. As we get older and see how the body can run down, we may step up to the plate and take better care. Often, as I have seen in my nursing career, folks often wait until an alarm bell sounds before making changes. We all do this, get disciplined, life interrupts, then we go back to our habits again. 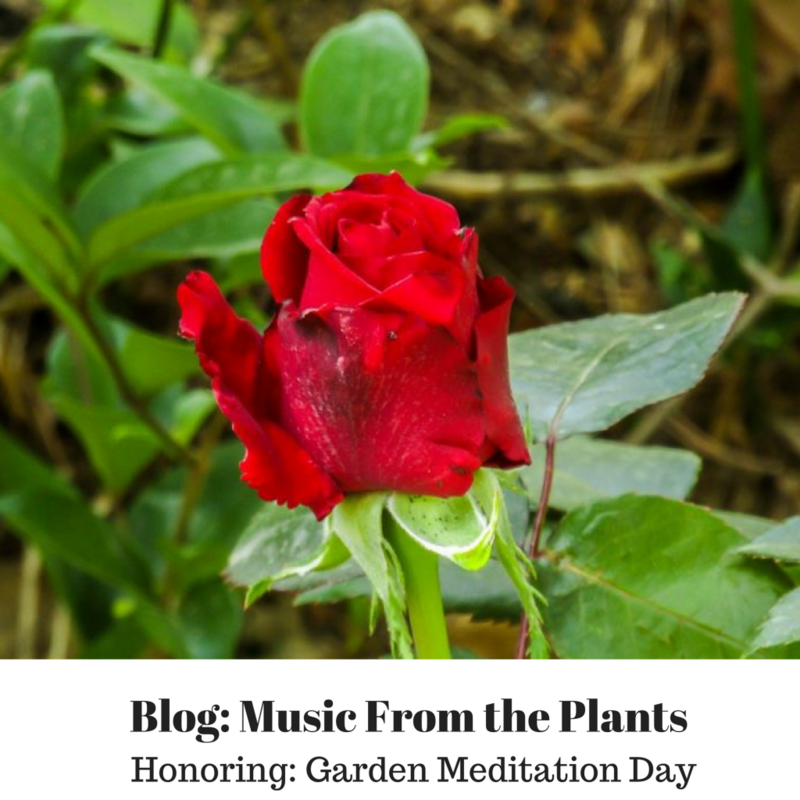 This week, my podcast guest, Eaglemoon Raes, reminded me of Mantak Chia’s meditation, one that asks us to focus on each organ system and give thanks to that community. Bring your awareness to your heart. Feel your heart’s love. Feeling this love, focus your attention on each organ system: brain, eyes, ears, nose, mouth etc. all the way through your body. When done bring your awareness back to your breath and give thanks for your breath of life. 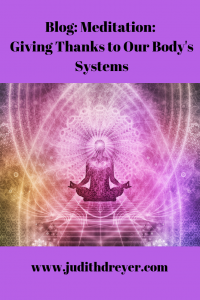 Giving thanks for our bodies seems a timely reminder. Enjoy. Remember all comments and shares are appreciated. 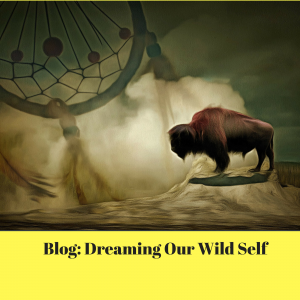 I am taking a leave from my usual blog themes to write about another subject I am passionate about: dreams and dreaming which I use in the broadest sense. Dreaming, understanding the symbolic nature of nighttime dreams, our intuitive senses has pushed me to find out more. Dreaming has nagged me to go deeper and find that which I feel I came here to do. Mysteries and symbols abound leaving me more and more curious. None of this has to do with the trials of the journey but rather woke me up to contribute to the journey of life in my unique way, no matter what. Can you say the same? Do you cook, clean, paint, garden, work with gusto or are you on remote control? Yes, we experience hills and valleys. That’s normal. For me, I want to be able to face myself when this part of my soul path is complete knowing I did the best I could and shared my gifts and talents in some measure. Do you feel the same way about your life path? Have you ever done deep inner work and emerged feeling different towards your world? 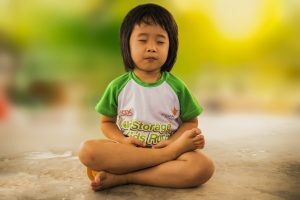 Have you done deep inner work, and found you opened your eyes differently? What puts a fire in your belly? What is it you can contribute so you feel that your life is worthwhile? Robert Ohotto and Caroline Myss, two of my favorite teachers, remind me that if I let my insecurities, my weaknesses steer the ship, then I will be operating from fate. However, once I committed to following my dreams, understanding living from a place of awakened dreaming I understood destiny. One is ego based, one is based on deep inner knowing and taking practical action. I explored the world of symbols and received many gifts that brought a feeling of magic back, something I felt long ago. I followed my dreams, both mundane and practical. One step led to another which eventually brought me to understand my gifts and talents more fully for practical action. Do I understand the purpose of my life? If I believe my life is a part of the Divine than how can I possibly know the intricate purpose of my life? Marianne Williamson says we are afraid of the power we have as a human being. I started to feel a different sense of power rise up, one that’s fueled my curiosity in ways I could not have imagined a few short years ago. Yet my life unfolds as part of the Mystery just like yours. 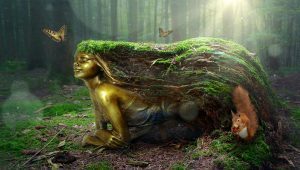 Brian Stafford, founder of eco-psyche-artistry and also a guide for Animas Valley Institute, my podcast guest this week, reminds us how dreaming is a part of who we are, an invaluable aspect of us as humans. He shares a beautiful poem brought forth from his inner Dreamtime work engaging us within his creative spark. How would you define your “wild “side? Have you discovered aspect/s of your wild self, that part of self that engages with your life more fully, and is more fully present? How do you see fate and destiny? What path are you following? Intrigued? Here’s the link to my ongoing online dream classes. Here we share a process for practical action from our dreaming time. Interested? Drop me a line or two. I enjoy hearing from you. Please share. Can you heart the plants sing? We hear sounds from the meadows and forests with the movement of air. But, did you know that plants make their own music too? “Since the 1970s, Damanhur—a Federation of Communities with its own constitution, culture, art, music, currency, school and uses of science and technology (www.damanhur.org)—has researched communication with the plant world. As part of this research, they created an instrument able to perceive the electromagnetic variations from the surface of plant leaves to the root system and translated them into sound.” Pretty cool, right. Extensive research is ongoing as we develop more and more sensitive equipment to help us hear, interact, understand the complexity of the plant world. 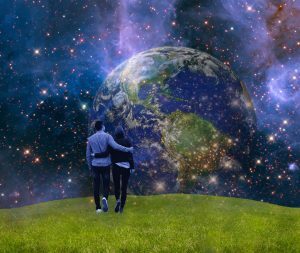 If we believe we are one, then we are connected to everything. These tools give us another way to connect with and respect the plant world, to cohabit with them. My guest this week, Jen Frey, does just that. She mentions Damanhur community, the type of equipment needed and brings this awareness to many events. Spring is here. In the northeast, we see some snow lingering, the day crisp and sunny. We’re almost ready to dig out our gardens, plot our dreams for ripe juicy tomatoes, crisp cucumbers and of course, flowers. 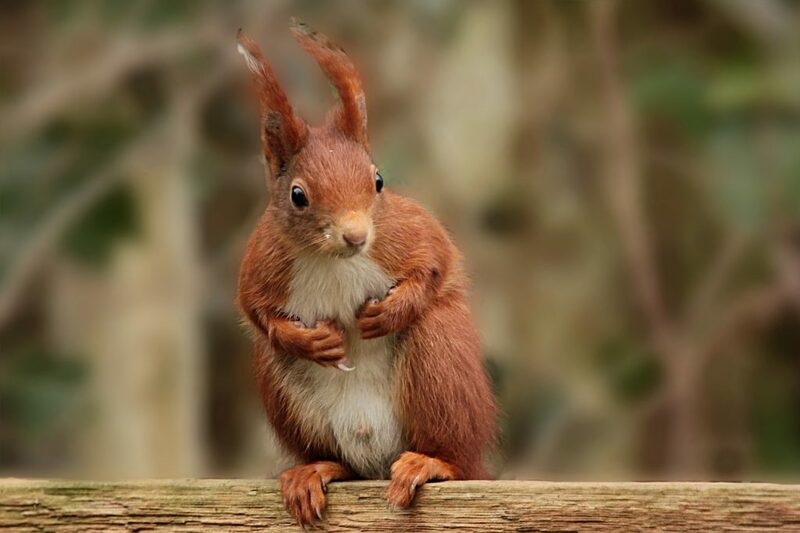 Spring teases us with cool breezes, shows a few buds, greets us with new births and fills the air with birdsong. Another season becomes a beautiful reminder of cycles, nature’s rhythms. 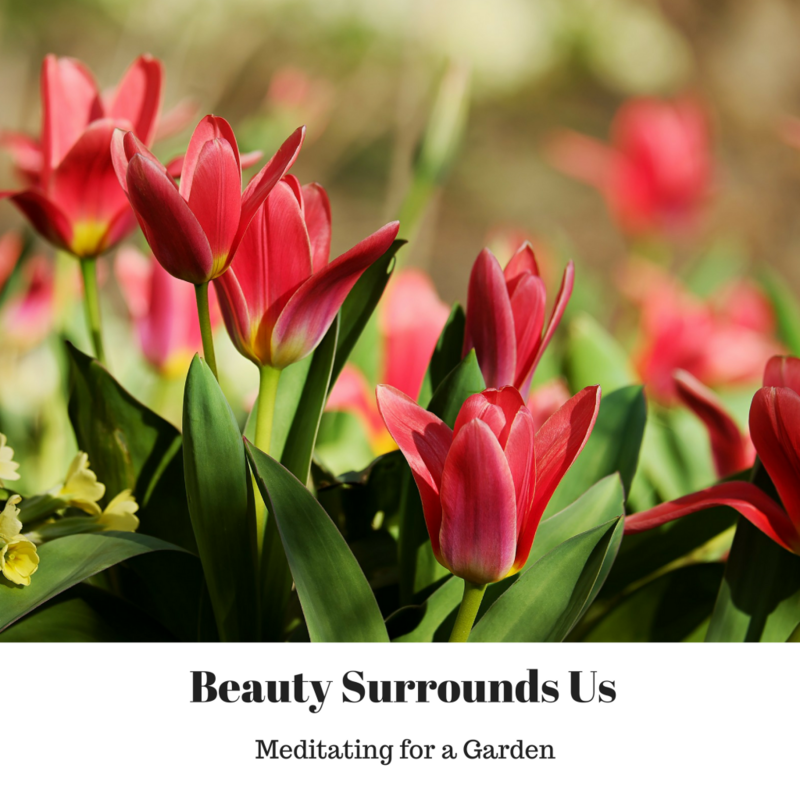 My podcast guest this week, Linda Wiggen Kraft, reminded me of sitting in nature once or twice a day. When I went to wilderness school a few years ago, Native American based, not military, we were encouraged to find our ‘sit spot’, a place where we felt comfortable sitting in early morn, and/or evening, before the demands of the day begin, perhaps when the demands of the day quiet down. I enjoyed my morning time after my children left for school. I made a pot of herb tea, placed a chair just outside my meadow. As Linda mentioned, nature is initially disturbed as we move about and then when we settle in, nature comes back. I marveled at the way dragonflies flit and saw so many different species. Sometimes deer would come in, females with their offspring, munching on the grasses in the late afternoon sun. In the evening bats would fly about, though today they are endangered here and we see very few at dusk. In a sea of goldenrods, mustard yellow flowers hummed with the presence of so many bees, creating a soft symphony. Sitting in the stillness, being present to our now, quiets us. We feel calmer, more peaceful, sharpen our observation skills and delight in whoever shows up. I have heard folks express disappointment when a creature doesn’t show up, but that’s not the point. The point is simply to be within nature’s simplicity. Allow our self a chance to quietly breathe and perhaps be grateful and maybe merge a little bit with our land. In planning gardens, have you considered doing a short ceremony, creating some ritual that welcomes spring? How about honoring the gift of seeds? After all, they are getting ready to burst into their full forms. We can taste their flavors, smell their peculiar aromas, we can almost taste the sun when ripe. Today, I want to remind you to approach your gardens, meadows, your landscapes with exuberance, joy, and gratitude. If puzzled on where to plant, what new plants to bring in, sit a minute or two. Engage your senses in the delight of your space first. Walk around, notice the old stems from last year, the bare branches, lifeless grasses. Trust your inner sight, plan it out, roll up your sleeves and dig in! What rituals do you create for beginning your gardens? Send me brief descriptions. I would enjoy hearing from you.